Composing is awesome, isn’t it? Creating music to picture and games is the dream for thousands of people around the world. It’s the reason why we spend hours inside digital audio work stations, tinkering with sounds and tailoring our work to our clients’ needs. If you are an audio enthusiast (and let’s face it, if you have found this blog—you probably are! ), chances are you have a solid plugin collection, a microphone or two, and lots of objects in your home and studio to make lots of noise. But there’s a lot more we could be doing with these skills and tools–and a lot more money to be made as well. 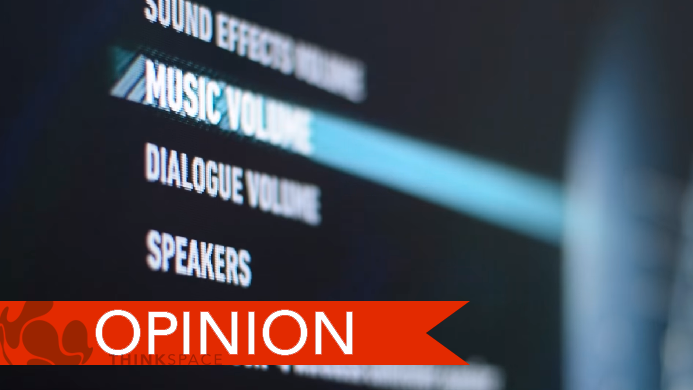 Sound Design (creating sound effects and practical audio to accompany picture and gameplay) is quickly becoming a skill that cannot be ignored. That’s why at ThinkSpace Education, we have addressed this by providing a new MA in Sound Design for Games. This September, GameSoundCon, the creator of the largest annual game audio survey, released the 2016 results. One of the focal points of the data is this graph that shows what extra services composers provide other than music composition. It’s no secret that if you can offer more than just music to your client, then you are a more attractive provider. 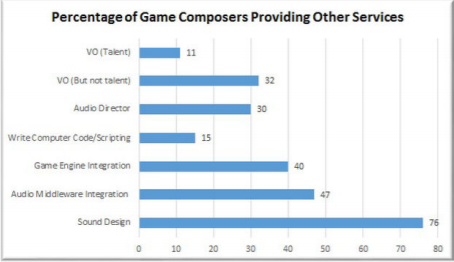 What may be surprising is the sheer volume of composers offering Sound Design as a service at a total of 76%. It is worth caveating that this number may be inflated by the number of composers who are actually only working as Sound Designers. This still means that there are plentiful opportunities for people who come from the world of composing to enter the arena of Sound Design. When ThinkSpace Education created graduate courses in Game Music and Audio, we spent a lot of time with professional Sound Designers and Audio leads from across the industry. We always asked “What’s your background?” and the answer would always be “We’re musicians.” Some of them are amateurs and part time musicians (playing in bands or producing tracks for ‘art sake’) and most have real ambitions to become full time composers. So, why are people specifically picking sound design as either a supplement to their musical career or swapping focus entirely? First of all, most of the audio tools that exist today have the aim of delivering music. Even when you are working on sound design, you are using tools that have similar or the same music software that you have trained on. We can also do a quick exercise to demonstrate opportunity. Google ‘Composer full time job’ and then google ‘Sound Designer full time job.’ The difference is immediate. There tends to be one composer per project, but multiple members of staff who work for much longer periods in Audio. That goes for both traditional media and games. That is not to say that Composing isn’t a viable choice. On many projects, especially smaller projects, it is actually the composer who gets more work and can have much stronger creative control, but you simply won’t find a full time permanent composer job that appears on Indeed, apart from the notable exceptions that will no doubt be oversubscribed with applications. Sound Design offers a much more ‘normal life’…well, if working in media could ever be normal. 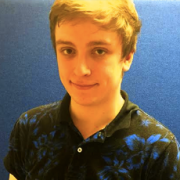 Employment times can be just as short as composer’s schedules, especially if you are fully freelance, but there are lots of positions across the world that involve full time and even permanent positions. Now while those time frames have downsides, if you compare a credit list of a game sound designer with five years of experience to a composer with five years’ experience, chances are the composer will have a much longer list due to their shorter time scales. There is a misconception that all sound design involves is dropping pre-made samples onto a time line. In truth, Sound Design offers just as much creative expression as music. The differences between game audio direction can be drastic. From Ben Burt’s animal-driven Star Wars sound effects to Alan Splet’s skin crawling industrial choices in David Lynch’s films. Just a quick google around to see how sound effects are made and how they affect us will make you realise how sound design is an art within itself. Another example is Ted Talk on Sound Design and how sound designers rarely rely on “real world sound” when they are matching audio and picture together. From Star Trek using paper for their sliding doors to Star Wars using elephants for TIE fighters. The possibilities are endless. Okay, so where to start in your Sound Design career? You need to build up a portfolio, develop your skills and be able to demonstrate a real passion. You need to start building up your own sounds and collecting what you can from the internet and what’s around you. You need to get involved in the audio production of the projects you are working on. If this is a film, helping them do foley and sfx. If you’re working for games, you’ll need to start learning how to implement raw engine tools, as well as techniques with middleware like FMOD and Wwise. If you really catch the Sound Design Bug, you could apply to our MA in Sound Design for Video Games or indulge both your passions with an MFA in Game music and audio.